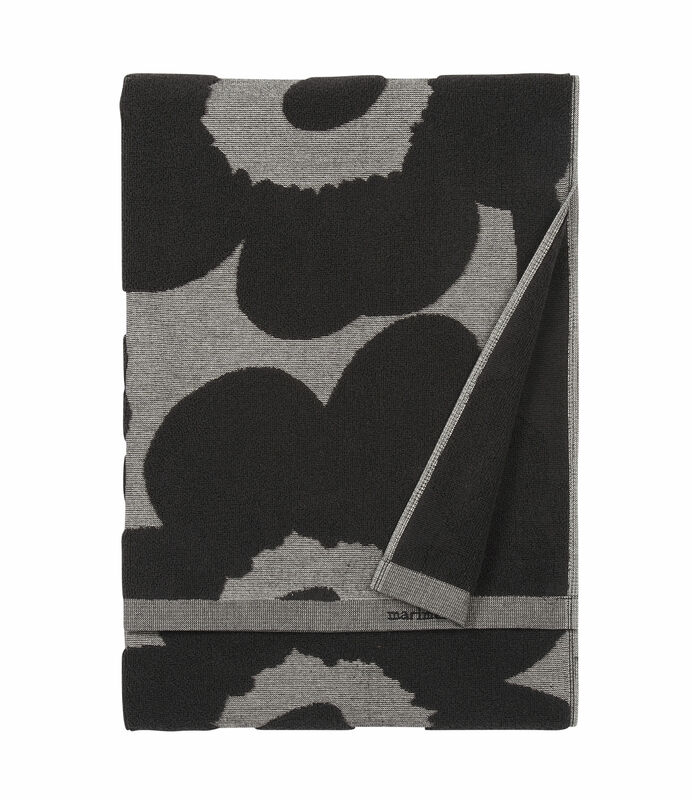 The Unikko flower pattern from Maija Isola in 1964 is iconic : it is the symbol of the Marimekko design house. This stylised towel will provide a graphical touch to your bathroom. 100% cotton, the towelling fabric is very soft and has good absorbant capacity. Created in 1951, the Marimekko brand is a state of mind, a way of life based on creativity, freedom of spirit and inventiveness. 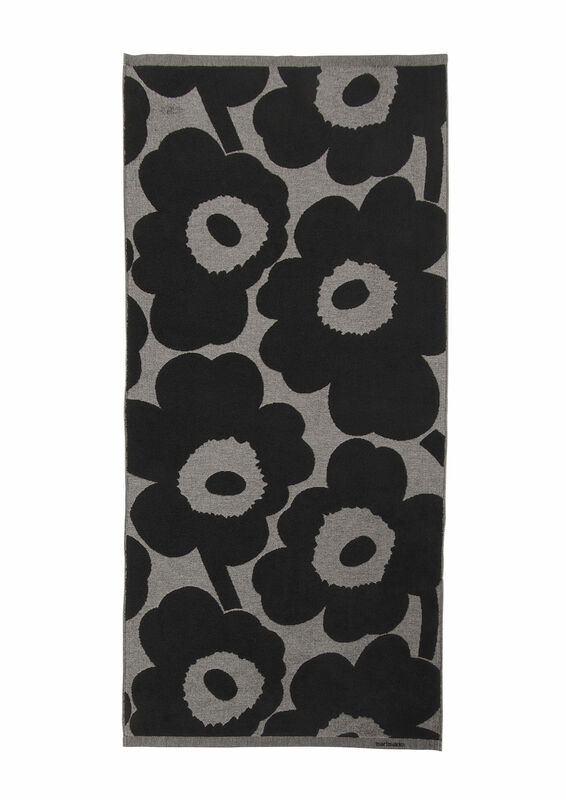 Its renown dates back to 1960, the year when Jackie Kennedy made several public appearances in dresses created by Marimekko. From that moment, the brand became immensely successful, and still is today, with a range of clothing and decorative accessories in bright colours.